Now that I have signed off all the proofs and sent Bollybook to the printers, this might be a good time to tell you what the book is all about. 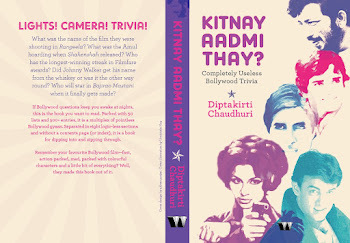 A couple of years back, I wrote a book called Kitnay Aadmi Thay which was a compilation of Completely Useless Bollywood Trivia. Basically fifty lists about cool and/or oft-seen things in Hindi cinema – Bengalis, Miss Indias, newspapers, Amitabh Bachchan, The Godfather rip-offs, mother characters and the like. The book ran its course. All my friends were thrilled. Readers of this blog were happy. The reviews weren’t too bad either. So when KAT was in production and on shelves, I started writing a sequel – fifty more lists of similarly cool things. How many movies have blackboards in scenes and what for? How many heroines in bikinis? How many heroes in towels? What are the cool things that happen just before Intervals? Who made the coolest last-scene cameos? When I pitched this sequel to an editor in Penguin, I saw it as a second KAT. 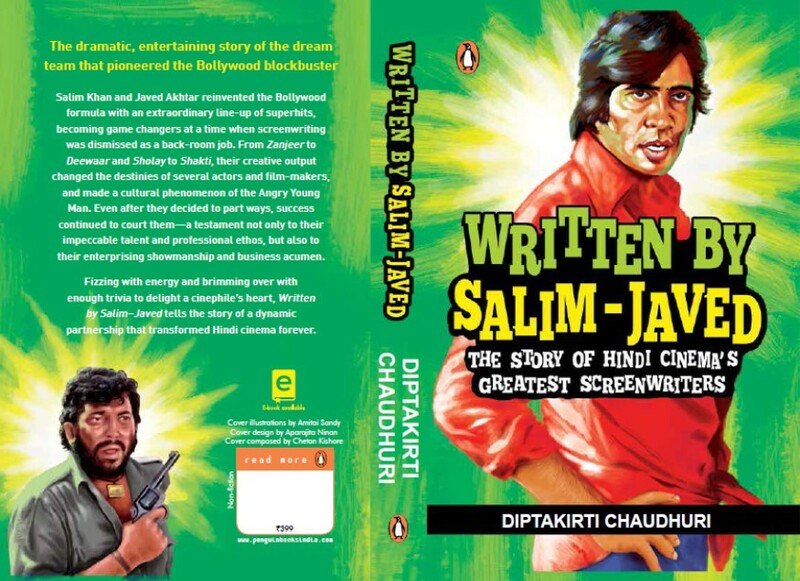 But Udayan Mitra – he of encyclopaedic Bollywood knowledge – came up with the grand idea of combining KAT and the next fifty lists I had written to bring out one mega-book of Bollywood trivia. Something like those Uncle John’s Bathroom Readers. A book that would be big enough to act as a weapon (or a shield) if the Salman and SRK fans got too carried away. A book that would be chock-a-block with juicy nuggets from our favourite films. And some from our not-so-favourite ones as well. 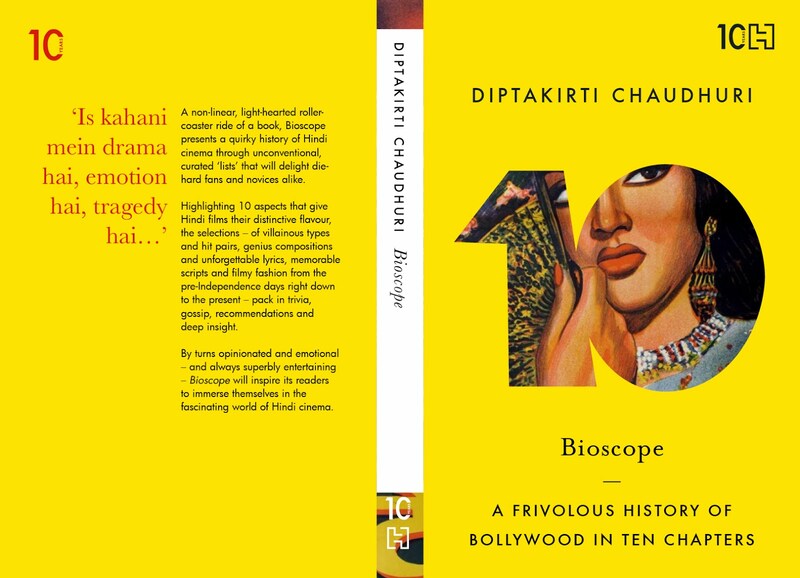 I decided to name it Bollybook, hopefully a happy mix of encyclopaedic authority and filmy quirkiness. 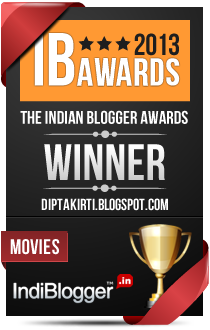 So Bollybook has 100 lists... a subtle tribute to Bollywood’s favourite number – be it in weeks or crores. My good friends and loyal readers who had bought/read KAT will find those fifty chapters again. But I can assure you there will be many new entries in those lists, new trivia boxes, new photos added, clunky sentences written better and other updates made so that you don’t feel short-changed. Hopefully overwhelmed but surely not short-changed. We are marketing it as The Big Book of Hindi Movie Trivia. And when I say BIG, maa kasam I mean it. 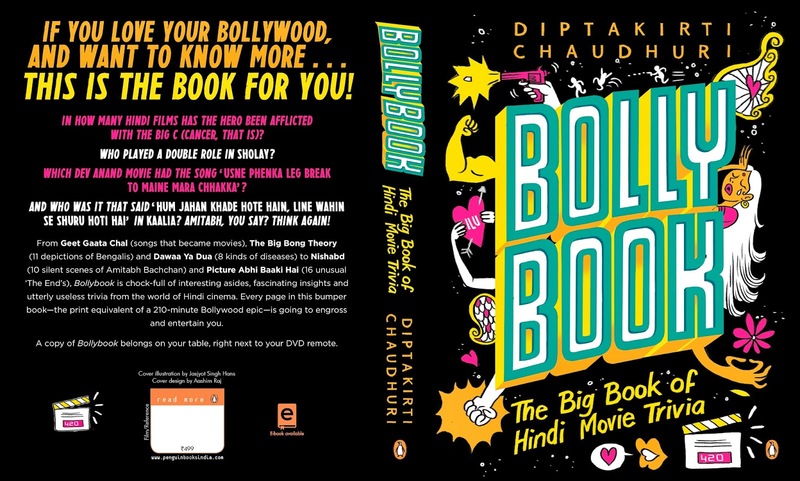 So Bollybook will soon be at a bookstore near you. At the price of two movie tickets, I promise you it will be a longer lasting – well – kick than Akshay Kumar's adventures with a dog. And you do want to know about Boney’s Law of Spatial Time-Space Coordinate, don’t you?